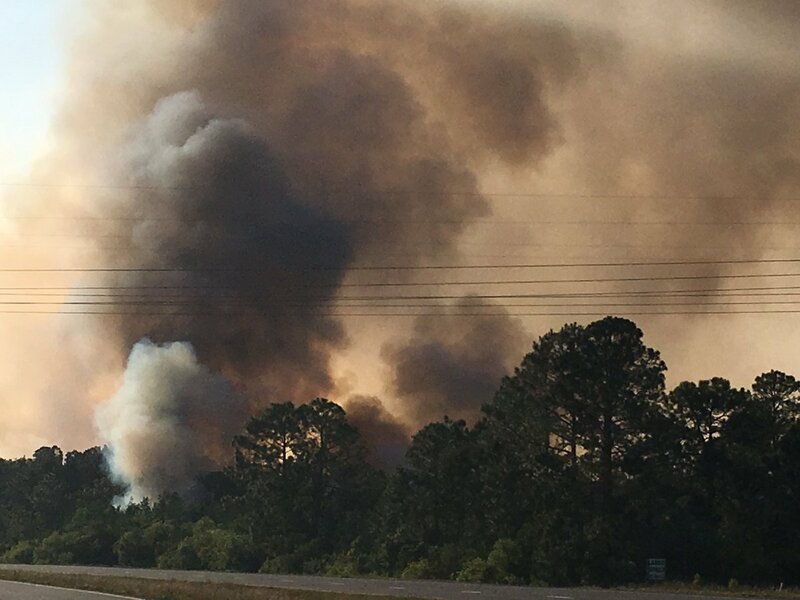 A wildfire broke out around 1119 hours PDT in City of Deland (Volusia County), Florida on Thursday, April 27, 2017 off of SR 44. It was reported as a one-acre fire on the N side of SR 44, then three minutes later was said to have jumped SR 44. 1119 | Resources dispatched to fire scene off of SR 44 in Deland. 1122 | 1 acre fire on North side of SR 44. Fire jumps SR 44 and now 1 acre fire on South side. 1221 | 20 acres. No structures threatened. 20+ units are on-scene. 1234 | Fire in Volusia County. 25-30 acres approximately. Unable to provide exact due to fire very active. 1238 | 175 acres. 0% containment. Wind shifted. 1240 | Fire fast-moving. Closed from SR 44 between Pioneer Trail and Damascus. 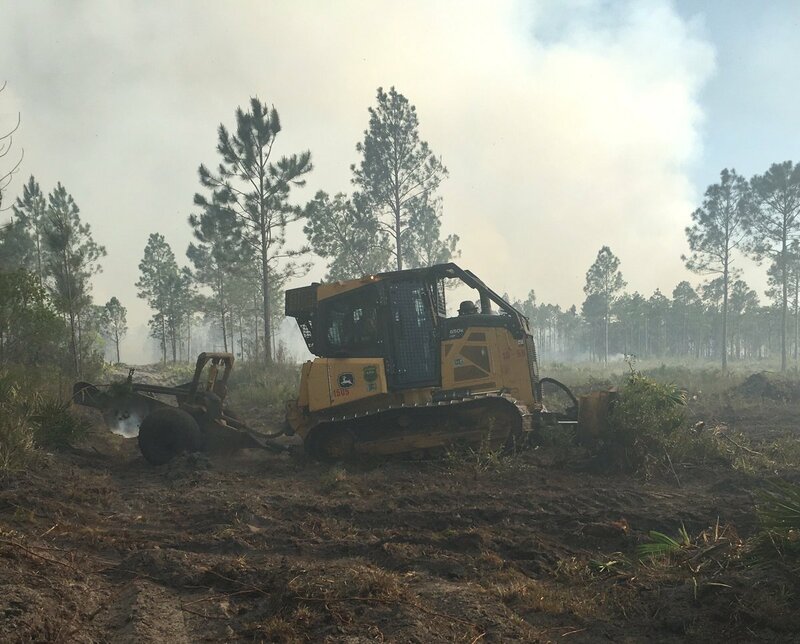 1245 | 15 FFS dozer plows from Local, State, Feds working. SR 44 closed between Pioneer Trail and Damascus. Fast-moving fire. 250 acres. 0% containment. 1513 | Firefighters from several agencies are fighting a 250-acre wildfire west of New Smyrna Beach. The fire began at about 1:40 p.m. at 199 Damascus Road, on the south side of State Road 44. It is not contained at this time. Firefighting personnel on scene include about 24 from the Florida Forest Service; 30 from Volusia County Fire Rescue; and seven from the cities of New Smyrna Beach, Port Orange and DeLand. The Air One and Florida Forest Service helicopters also are in use. 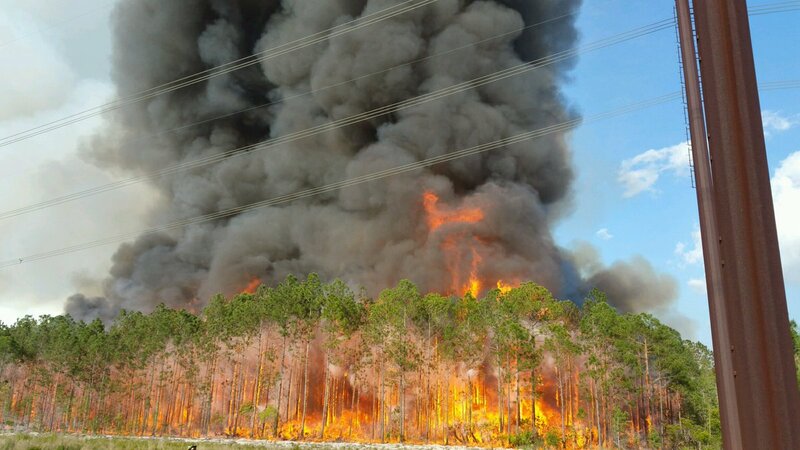 The Florida Forest Service is providing wildfire updates on Twitter @FFS_Bunnell. 1520 | 250 acres. 50% contained. 1526 | The fire pushing forward. 1631 | Crews working into the night to conduct mop-up operations. SR 44 to remain closed throughout the night. 1728 | Volusia County Fire Rescue has issued an outdoor burn ban due to the ongoing dry conditions. 1822 | 250 acres. 75% contained. The City of DeLand is a small town and County seat of Volusia County, Florida. It is a college town, host to Stetson University located in a National Historic District. The City has special events that rally around its Southern culture, arts, history, hospitality and their lifestyle. The City is also located 40 miles from Orlando and 25 miles from Daytona Beach, Florida. It is home to approximately 27,000 residents.